Mary Jane Booth, 64, was known to almost everyone who worked at Dulles International Airport. She had worked for American Airlines for 45 years and was secretary to American's general managerat Dulles for more than three decades, arriving just a few years after the airport opened. There were few things about the place or its people that she didn't know. "At this airport, she was a mother to everyone," said Dennis Hazell, the latest who had come to think of himself as "her" general manager. On Tuesday, Booth boarded her airline's Flight 77, en route to a Las Vegas meeting of the employees' credit union. As word spread that she was aboard the plane that hit the Pentagon, hotels, flower shops and other businesses with which she had dealt began sending condolences to her boss. Everyone called her MJ, said Jackie Lewis, her counterpart at Northwest Airlines -- except at the annual American Airlines holiday party, when she dressed the part and everyone called her Mrs. Santa Claus. "She was the friendly glue that kept everybody together," airport manager Keith Meurlin said. "She'd take you under her wing and teach you the airline business. If there was a tough decision, it was not uncommon for me to pick up the phone and ask what impact it would have on her operation. At Dulles, everybody knew her." Booth spent most of her life in Northern Virginia, growing up in Arlington and settling in Falls Church. She was widowed two years ago and had no children. Her sister, Nancy Kimbell, lives in Dallas, and she also is survived by a niece, Kendra, and a nephew, Keith. Mary Jane was a devoted daughter, wife, sister, and aunt. She was full of life and enjoyed each day helping others. 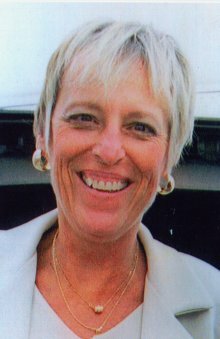 Mary Jane Booth, 64, was a lifelong resident of Northern Virginia, growing up in Arlington and settling in Falls Church. She had worked for American Airlines for 45 years and was secretary to American's general manager at Dulles International Airport for more than three decades, arriving shortly after the airport opened. She was known by almost everyone who worked at Dulles, and there were few things about the airport or its people that she didn't know. "She was the friendly glue that kept everyone together," airport manager, Keith Meurlin said. "She'd take you under her wing and teach you the airline business." "At this airport, she was a mother to everyone," said Dennis Hazell, the latest who had come to think of himself as "her" general manager. She was fondly called "M.J." except at the annual American Airlines holiday party, when she dressed the part and everyone called her Mrs. Santa Claus. On September 11, M.J. boarded her airline's Flight 77, en route to a Las Vegas meeting of the employees' credit union. As word spread that she was aboard the plane that hit the Pentagon, hotels, flower shops, and other businesses with which she had dealt, began sending condolences. Mary Jane had lost her husband, Jim, some 18 months before September 11. They had no children, but she loved her yellow Labrador retriever, Addie, as if she were one. She spent many hours exercising, gardening and cooking, and enjoyed the love and fellowship of her family and many friends. For weeks after Addie came to live with Ken and Patty Arey in Arlington, she would not let Patty Arey out of her sight. "I could not leave the room without her following me," Patty Arey said. "It was as though she were saying, 'My mommy never came back; don't you leave me, too.'" Addie still follows visitors around, pressing her nose against them. Addie's "mommy," Mary Jane Booth, had been a flight attendant on American Airlines Flight 77, which was flown into the Pentagon on September 11, 2001. 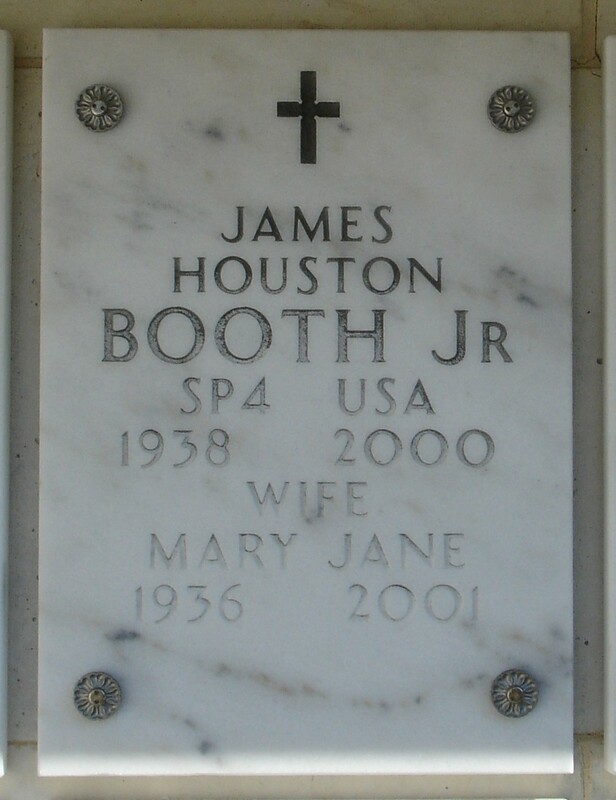 Booth thus joined the 58 other passengers and crew members who died there, along with 125 Pentagon workers. And Reston resident Suzette Conlon decided that the list of victims was long enough: the terrorist would claim no more. As president of Paws and Claws, she made sure that all 72 "Pentagon Pets" who were left orphaned by the terrorist attack found good homes. As Conlon proudly recalled, "My goal was to make sure that none of the pets were euthanized because people could not afford to care for them." And that goal was met, as far as she knows. "None of them even went to a shelter," she said. To begin her task, she had to gain official recognition from the Department of Defense. This was not easily done. "They had to be careful about giving access to the (victims') families," she said, "so they wanted to know all about me." Her organization was listed as the resource for orphaned pets in the booklet given to victims' families. In addition, her efforts were reported in the Pentagon's newsletter, The Pentagram. A month after the terrorist attack, Conlon learned via Booth's sister that the 7-year-old golden retriever mix was temporarily staying with the Areys. At least it was supposed to be a temporary stay, Patty Arey said. As a fellow American Airlines employee, Patty Arey said she was hysterical when she learned that her friend Booth was on the ill-fated flight. "I wondered what I could do, and then I thought of Addie," she said. Another co-worker, who had been "house-sitting," helped her go to the house. To help Addie adjust to the move, Patty Arey and her husband loaded up Addie's familiar playthings and oversized crate. These included "daddy's shoe," a slipper belonging to James Booth, who had died two years earlier. Addie still carries it around the Arey house, just as she still enjoys playing with a dilapidated Frisbee from the Booth home. The Areys also took mementos of Mary Jane Booth's devotion to her dog, including a Christmas tree angel with a golden retriever's head. The Areys obviously share Booth's feelings for the breed. They had already adopted Duke from the Golden Retriever Rescue, Education and Training rescue group, and said his companionship helped Addie adjust to her new home. When Duke passed on last year, at the age of 12, the Areys adopted Kate. She is also 12, and, as Patty Arey said, "I try to adopt the older dogs that no one else wants." Patty Arey said that Addie helped Kate the same way that Duke had helped her. As she put it, "Addie became a therapy dog." Now Addie and Kate look almost identical, wearing American flag bandanas around their necks as they stroll through the kitchen-family area of the Arey home, where their photos cover the refrigerator door. When Conlon saw the dog in these surroundings, she said she knew that Addie had found the right home. "Mary Jane Booth had a grown niece, but she was not set up to care for a big dog," Arey explained. The Areys obviously were. Most of the other 71 orphaned pets were adopted by the victims' families. But sometimes it was hard to find just the right family member. It was especially hard to find a home for two dogs, Penny and Lucky, a shepherd mix and a cancer-surviving beagle, who had lived with a Pentagon worker who was killed September 11, 2001. "There was a grown daughter in the area who had a baby plus a very pampered chihuahua who did not like other dogs," Conlon recalled. "Another daughter had little children, and these dogs had never lived with kids," she said.. But, as in all good stories, there was a third daughter who was planning to get married. When that daughter and her new husband chose their new home in Maryland, she kept the needs of the dogs in mind. Another case was even more challenging. "The Red Cross told me about a pet who had had a litter of six puppies," Conlon recalled. "I got the mama spayed and found homes for them all." Two of the victims' grown children plus fellow church members helped to provide for them. Having found new homes for the orphaned animals, Paws and Claws still has a role to play in helping to meet their new financial needs. Paws and Claws, with its 15 volunteers, had decided to pay the animals' expenses, including veterinary bills, for two years. They are meeting the goal with the aid of the Petco Foundation Disaster Relief Fund, which raised $600,000 across the country after September 11, 2001. For Addie, the expenses have reached $2,000, due to a cancer scare and the resulting tests. Like many of the pets' new "parents," they assured Conlon that they could pay their bills. "But I told them that I had raised the money to help them, so they should let me do it," she said. Sitting in her veterinarian's office, Patty Arey was glad she had done so. "A woman told me that she had given money to this cause, and she was happy to learn it was being used so well," she said. Inspired partly by this experience, the Areys have willed some of their money to be used for the care of their animals. They are also arranging for their pets' ashes to be buried with them. In the Arlington Cemetery columbarium where Mary Jane Booth's ashes were placed, Patty Arey has set up a photo of Addie nearby. "Her dog was her child," Patty Arey said, "and now she is mine."